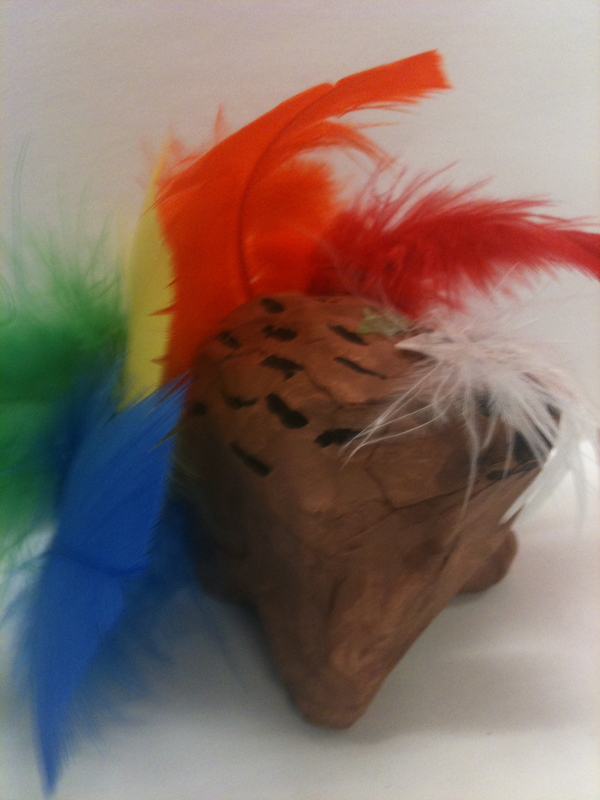 This is such classic art project done again and again. But it’s one that is always so successful and kids love! 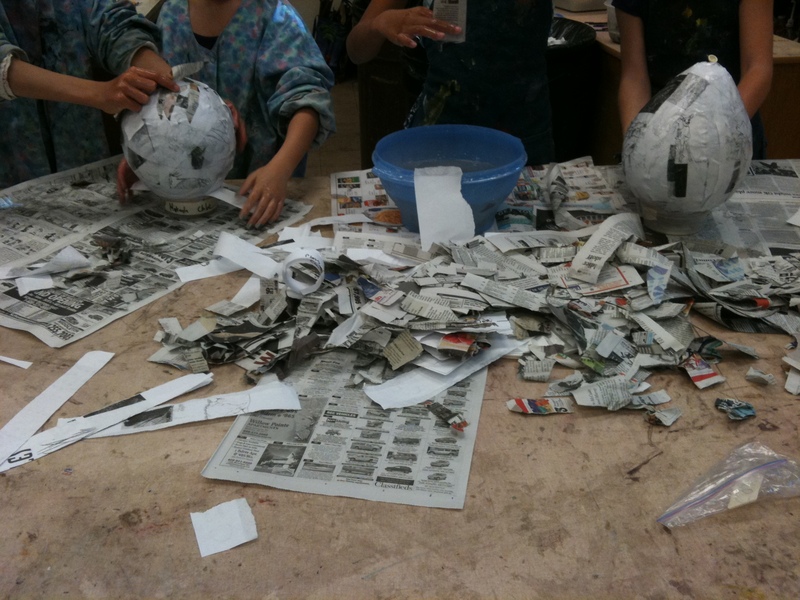 We began by paper macheing balloons and cutting them in half. 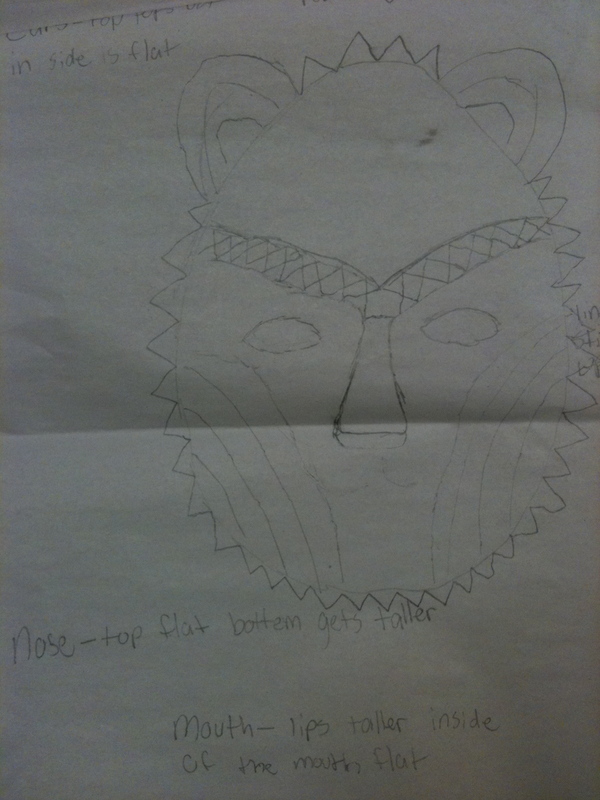 Then we sketched our designs for masks, cut them and added details to match our sketches. 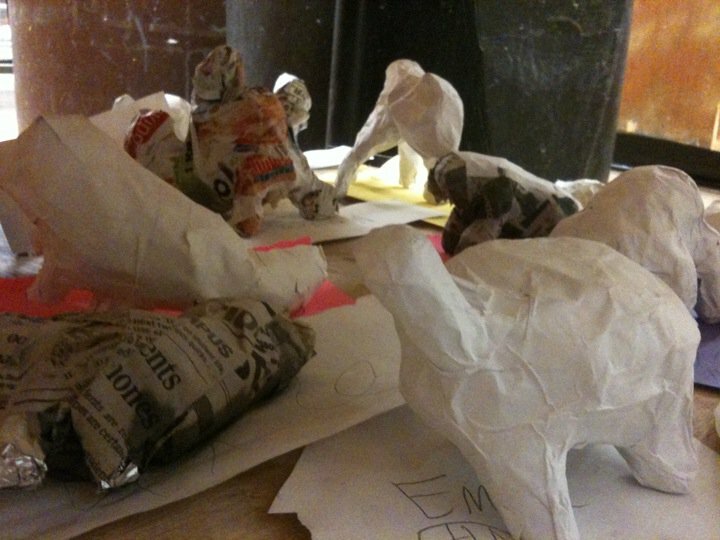 Then we paper mached them again and added our details! 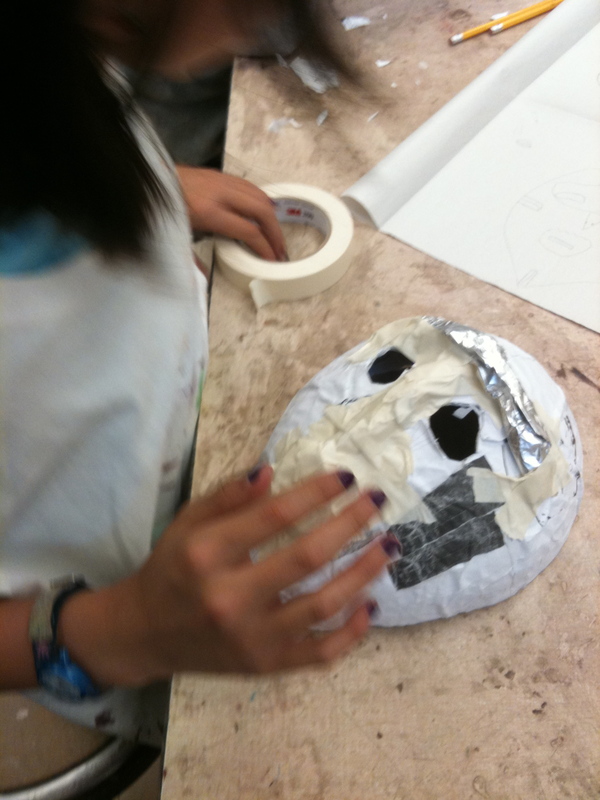 5th graders have been working for WEEKS on their Ivory Coast Masks! I finally have a few finished ones to share. I’m so excited! The rest should be finished next week. Missed the process? Check it out here, here and here. 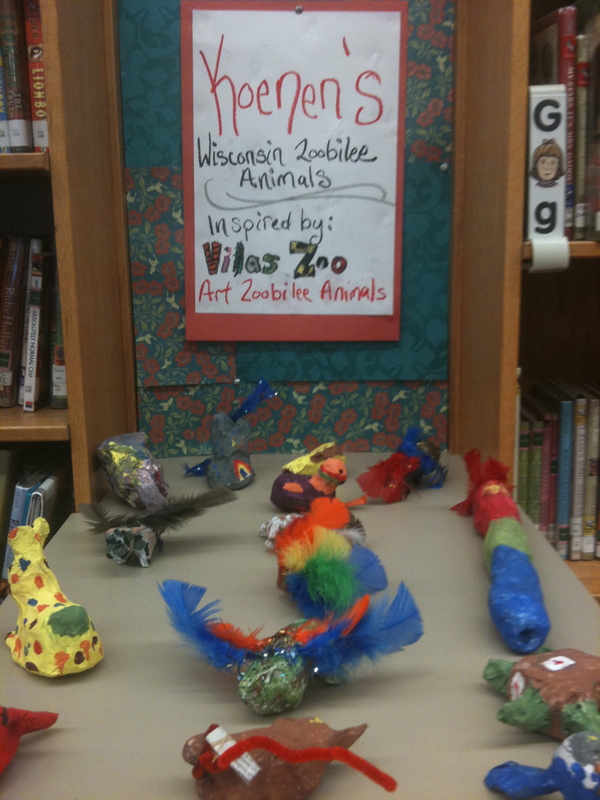 A few weeks ago I posted about the 4th grader’s progress on their Wisconsin Art Zoobilee animals inspired by Vilas Zoo’s Zoobilee animal sculptures. 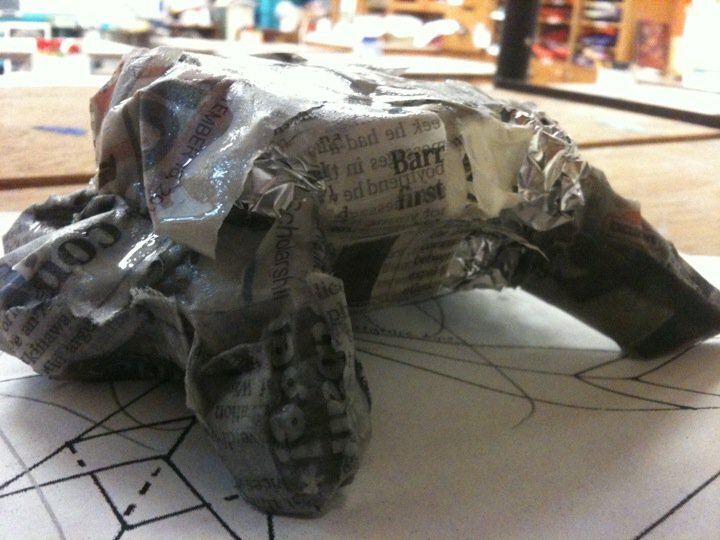 They started their sculptures by sketching their designs. 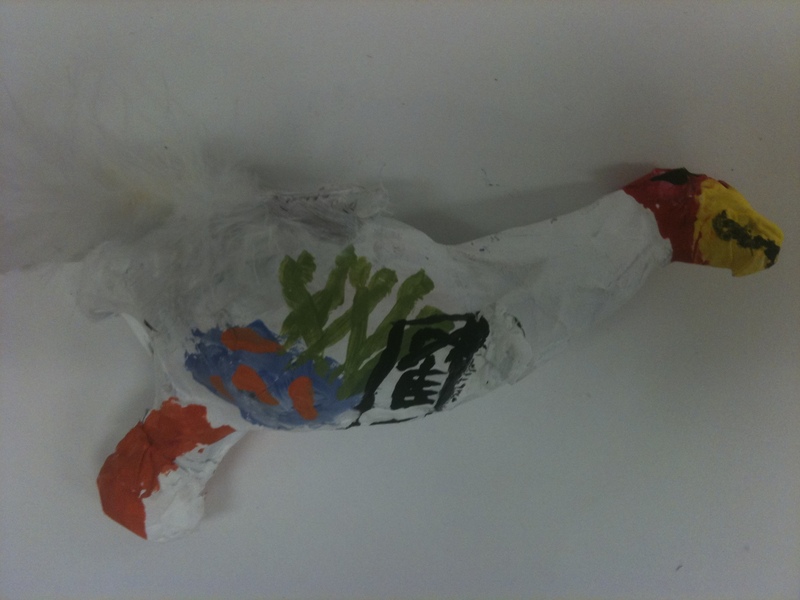 The Zoobilee artists were required to submit three sketches so we did three sketches as well. 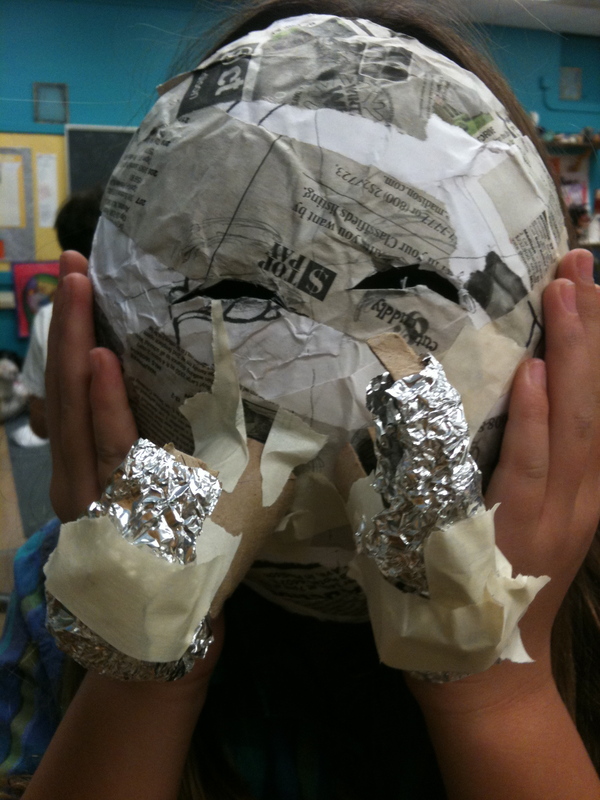 After we picked our very favorites, we built our sculptures using aluminum foil and paper mached over the foil. 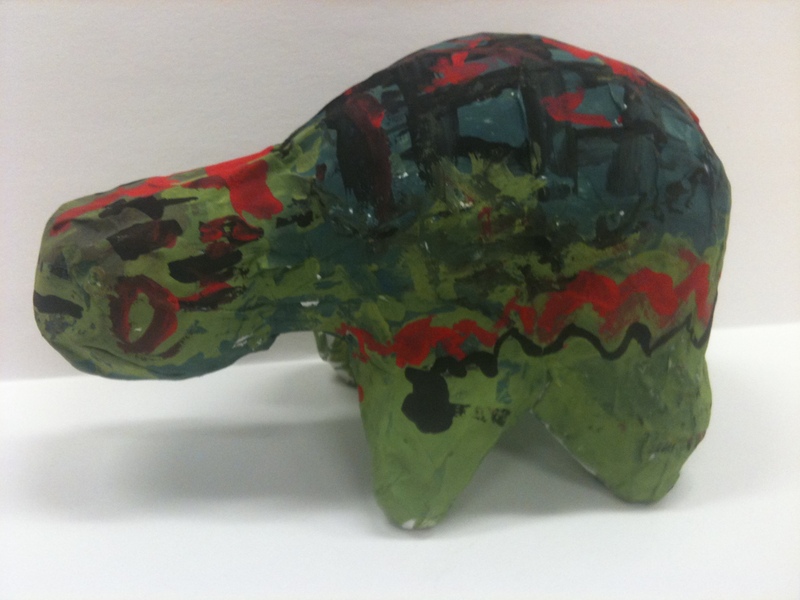 After it was paper mached, then we were able to paint and add our details onto our animals. 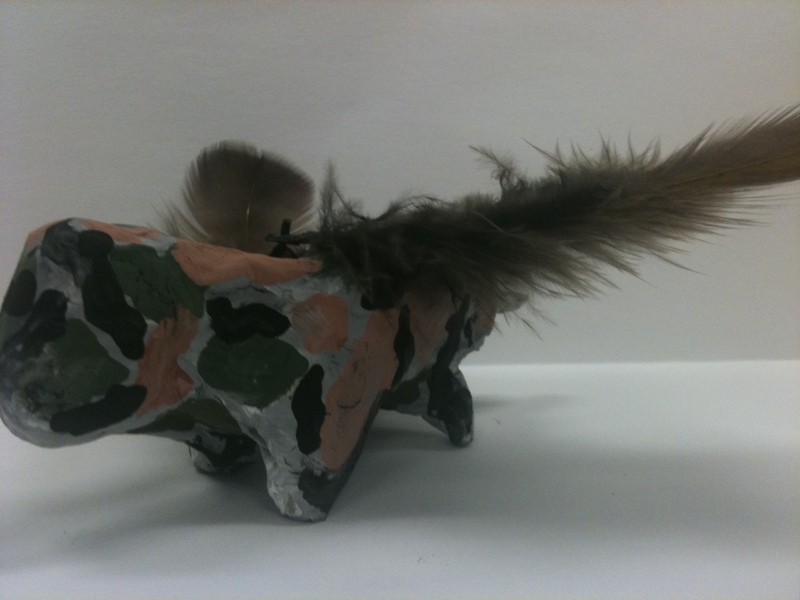 Here are a few examples of some finished animals. 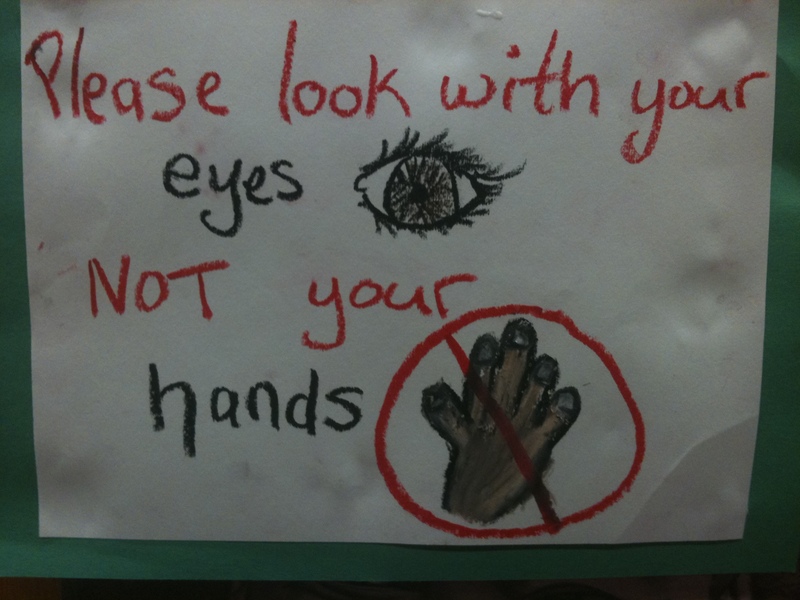 Watch for them displayed around our hallways and library soon!! 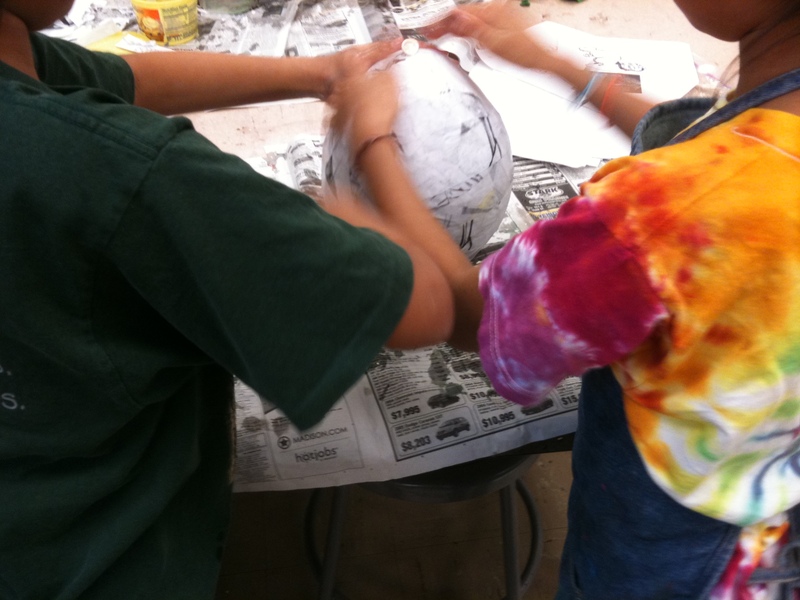 5th graders worked in partners to paper mache a balloon. This proved to be tricky as sometimes the balloon ran away from them! 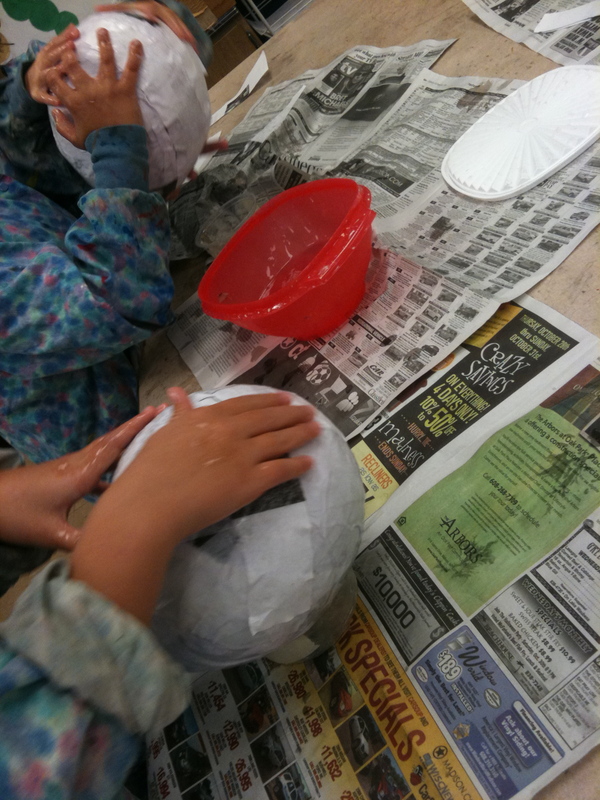 But they are smart and worked to put paper mache in key places to balance the balloon. 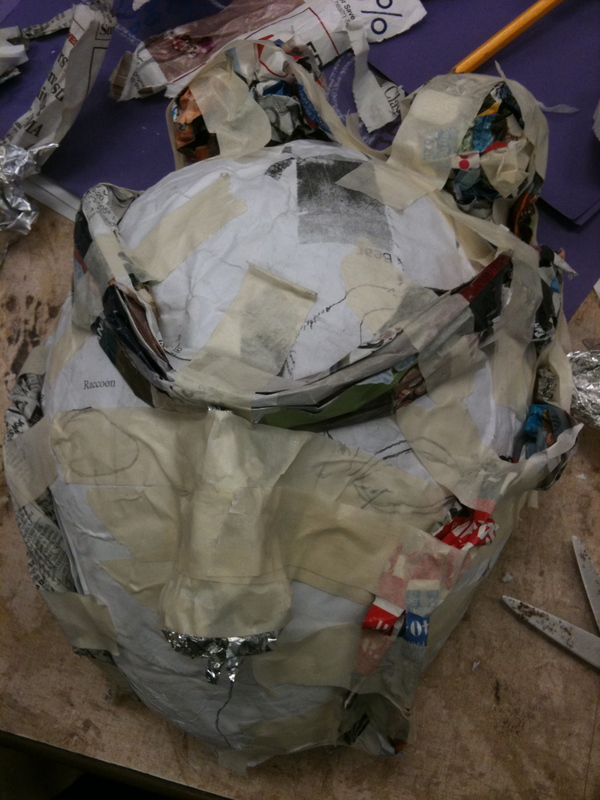 They created layers for 45 minutes so next week, we can cut them in half and they will be strong enough to use as a base for our masks. 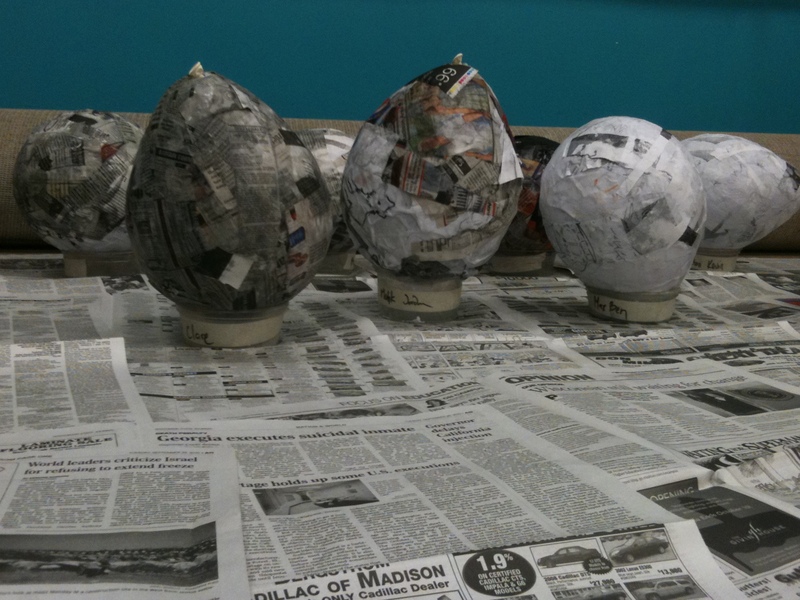 Check back to find out what these messy, paper mache balloons will turn into! 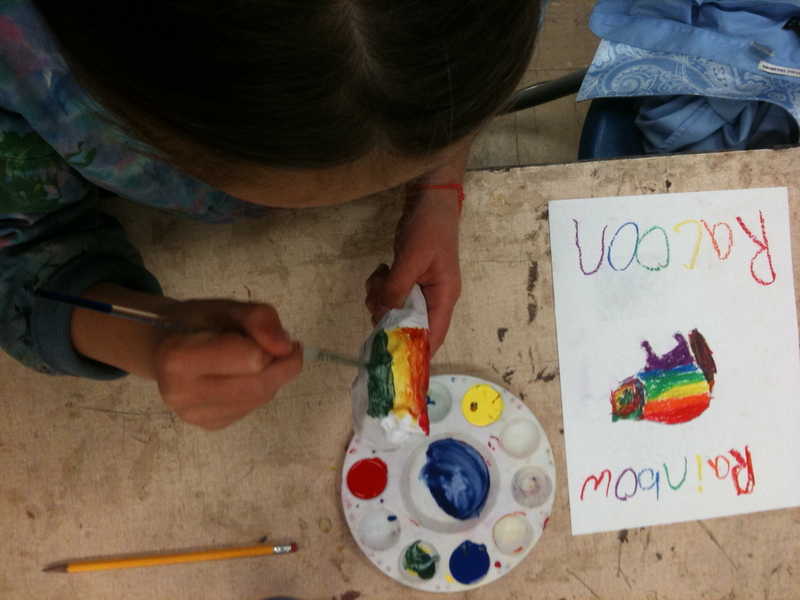 I mentioned awhile back that the 4th graders will be doing their own Art Zoobilee project. Were you wondering why your child asked you if they could bring in aluminum foil? Here’s why, they have begun to build! ﻿﻿﻿Check back for finished projects soon!